The title of this post needs no elaboration, but I’ll inform you that prices range from $7.50 to $20. It’s a diverse group of wines. Seven from France; 6 California; 5 Italy; 2 each Argentina, Australia, Chile and Oregon; 1 each Bulgaria, Germany, Portugal and South Africa. (Welcome, Bulgaria!) By genre or hue: 1 sparkling wine; 3 rosé; 10 red and 16 white. As a matter of fact, the 30 wines on this roster would make a great restaurant wine list. So, enjoy! In moderation, of course. With one exception, these wines were samples for review. Albert Bichot Bourgogne Aligoté 2015, Burgundy, France. Excellent. About $16. 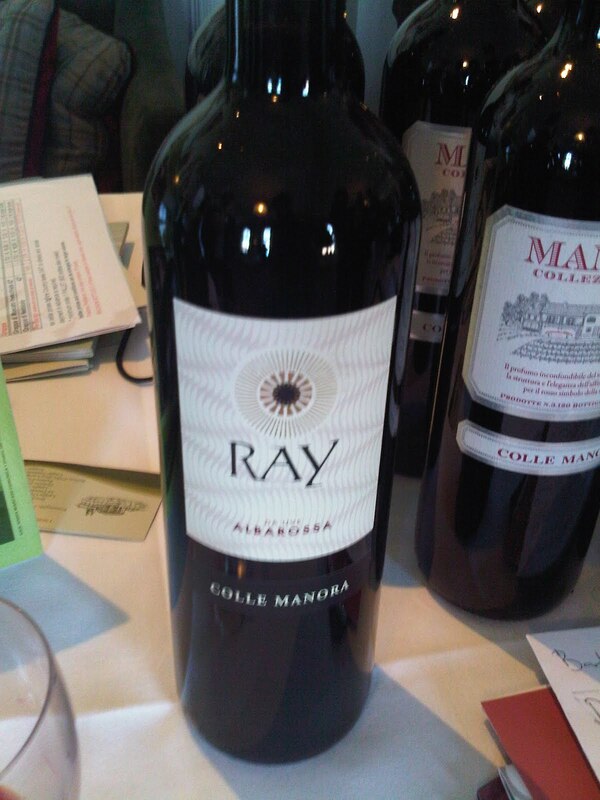 Amalaya Malbec 2016, Salta, Mendoza, Argentina. With 10 percent tannat, 5 petit verdot. Excellent. About $16. Domaine Bousquet Gaia Tupungato White Blend 2016, Mendoza, Argentina. 50 percent chardonnay, 35 pinot gris, 15 sauvignon blanc. Excellent. About $18. How do the adjectives “lovely” and “drinkable” sound to you? If your reaction is positive, head straight to the Luca Bosio Dolcetto d’Alba 2015, a delectable red wine from Piedmont. Offering a dark ruby hue that shades to a transparent magenta rim, this fresh and appealing wine delivers a pure expression of the dolcetto grape in the form of black cherries, currants and plums given structure by notes of dusty graphite and sleek, silky tannins. Zinging acidity keeps it lively and engaging, while the finish opens to touches of leather, underbrush and dried thyme. A few moments in the glass bring in hints of violets and lavender. 13 percent alcohol. A perfect accompaniment to pasta dishes and pizzas, chicken Marengo, pork tenderloin or a simple herb and cheese risotto or frittata. Very Good+. About $15, representing Good Value. Imported by Quintessential Wines, Napa, Calif. A sample for review. Bill Mosby is probably weary, weary of people describing his winery as “a little bit of Italy in Santa Ynez Valley,” but that’s the price you pay for adhering to a strict regimen of Italian grape varieties along California’s Central Coast. Today I write about four of his wines, from a roster of 17, as well as grappa, plum brandy and other distillates, all of which he produces in minute quantities. Mosby and his wife Jeri purchased property on the old Rancho de la Vega land grant in 1976, on the Santa Rosa Road south of Buellton — population 4,828 and home of OstrichLand USA — now somewhat a center of the winemaking industry in the valley. The winery features an adobe house built in 1853, the home of the Mosby family, and a carriage house from the 1880s, the winery’s tasting room. I believe in randomness. . . so when I ordered a case of wine recently, what drew my attention was not the bottles (which being carefully selected were expected) but the unrelated packaging. Unico Zelo was emblazoned on the box, along with various bombastic and tangential statements and several grids of sudoku. When you spot barely contained craziness, you have to get closer. . .
Clare and Adelaide Hills fruit. It’s bright with raspberry and rhubarb, the impression of fruit jubes, but little sweetness, and a sappy, Beaujolais like finish with smudged tannins. It’s delightful and attention seeking. . . Later still, the nose has more shadow and spice, the shape seems rounder and fuller and the tail of tannins slimmer. getting the thing written and posted on Friday?” Well, because Friday is the lead-in to the weekend, and I think of this series as brief reviews of wines My Readers would like to find for their weekend (moderate) drinking enjoyment. So I miss by a day here and there! So what! A group of Italian wines today, whites and reds from Tuscany and Piedmont, including one of the best wines made from vermentino grapes that I have encountered; there’s also an excellent Dolcetto and Nebbiolo. As usual with the Friday Wine Sips, even when I post on Saturday, I deliberately keep matters brief and decisive by striking to the heart of the thing and eliminating the usual data about history, specific geographical matters, winery personnel and so on. What you read is what you get. The Poggiotondo wines were samples for review; the others were tasted at a wholesaler’s trade event. La Scolca White Label Gavi 2010, Piedmont. 13% alc. 100% cortese grapes. Pale straw-gold color, faint green highlights; spiced lemon with a touch of lemon balm, hints of almond and almond blossom, peach and pear; crisp, lively, alert; pleasing texture infused with limestone-and-shale-like minerality; spicy finish. Very attractive for drinking through the end of 2012. Very Good+. About $18. Poggiotondo Vermentino 2011, Toscana. 13.5% alc. 100% vermentino grapes. Radiant pale gold; fresh and floral as a spring garden; yellow plums and thyme, roasted lemon and pear; clean, bracing sea breeze and salt marsh astringency; quite spicy, very dry, scintillating acidity and limestone-like minerality supporting ripe stone-fruit flavors; long spice-thronged finish. Now through 2013 or ’14. One of the best vermentino wines I have encountered. Excellent. About $20, a Notable Value. Poggiotondo Rosso 2010, Toscana. 12.5% alc. 40% sangiovese, 30% merlot, 30% syrah. I was not as impressed by the Poggiotondo red wines as by the Vermentino, but I definitely liked the Rosso better than the Chianti. Simple and direct and tasty; gushes with spicy red and black fruit scents and flavors balanced by bright acidity and sleek, moderately chewy tannins; the finish adds leather, briers and brambles. A decent quaffer for red sauce pasta dishes, pizzas and burgers. Drink through the end of 2012. Very Good. About $11. Poggiotondo Chianti Cerro del Masso 2009, Toscano DOCG. 13% alc. 80% sangiovese, 10% merlot, 5% each syrah and colorino. A curious marriage of bland and harsh; takes rusticity to the edge of roughshod. Sangiovese deserves better. Not recommended. About $15. Marziano Abbona Dolcetto Dogliani “Papa Celso” 2009, Piedmont. 14% alc. 100% dolcetto grapes. Dark ruby color with a violet-magenta cast; warm, fleshy, meaty floral bouquet, spiced and macerated red and black currants and plums, undertones of lavender and leather; quite earthy, with touches of moss and underbrush, a little spare and austere yet almost succulent in texture, almost velvety; a graphite-like strain of minerality through the finish keeps it in line. Now through 2015 or ’16. Excellent. About $30. Marziano Abbona Barbera d’Alba “Rinaldi” 2009, Piedmont. 14.5% alc. 100% barbera grapes. Dark ruby-purple; leather, plums and mulberries, briers and brambles, a little fleshy and floral; very dry, packed with dried spices and dried red and black fruit flavors; fairly foresty, burgeoning underbrush, austere from mid-palate back through the finish where it picks up some granite-like minerality and a bit of heat. Now through 2015 to ’16. Very Good+. About $30. 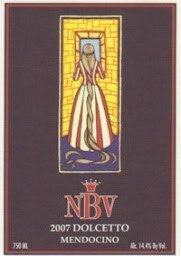 Marziano Abbona Nebbiolo d’Alba “Bricco Barone” 2009, Piedmont. 14% alc. 100% nebbiolo grapes. Classic. Deep ruby-purple; tar, earth, violets and truffles, rosemary and its bit of resiny astringency, black currants and plums; full-bodied, dense, very dry, jammed with finely milled and sifted tannins, graphite elements and woody spices; touches of fruitcake, potpourri and bitter chocolate; long, spun-out finish. Demands rabbit fricassee, game birds, venison. Now through 2016 or ’17. Excellent. About $30. Todd Martin. You must remember Todd Martin? 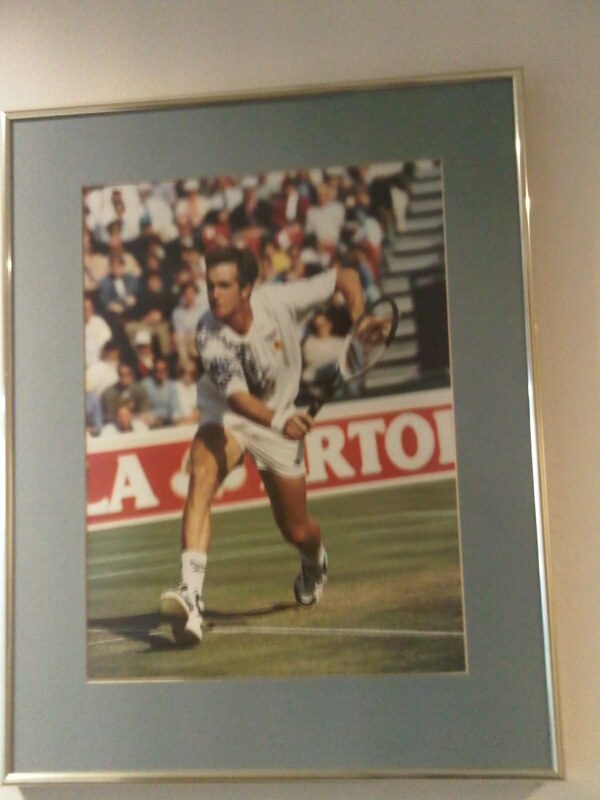 He was one of my favourite tennis players back in the early 90’s. On those occasions when I would drag my father down to that ivy-clad utopia of SW19 you may know as “Wimbledon”, we would shout for “Old Todd” at the top of our lungs. Fans who were stood around the court (out on court 14 as it was then) imagined we were related to Todd Martin, why else would Yorkshire folk pump and cheer for Old Todd? Well, there is no reason. Other than that old British tradition of picking a foreign player at random and supporting them just because we wanted to know what victory might feel like. We wanted to support an underdog but better an underdog that may actually win something. And Goran Ivanisevic must have gone out early! Yet this isn’t my hung portrait of Todd Martin. I wish. No, this photograph takes pride of place at the rather swish and too often overlooked Queens Club, just a short skip from my flat in London, W14. Todd won here and many other places so it’s a little unfair to rank him alongside the Tim and Gregs of this world and even more unfair to call him “old” but still, it was a term of endearment we felt. This is a wine blog, right? I was invited to the Queens Club yesterday by Antonio Tomassini of Wine and Food promotions, a company committed to helping Italian wine producers get a foot in the door of the UK market. No easy task. If you’re unwilling or unable to hand over your Primitivo or Montepulciano d’Abruzzo to Tesco or Asda for €1.40 a bottle or less then you have to go the long way round. The long way round could certainly be worse than the President’s Room of Queens Club… talking to the likes of me. In amongst all this tennis memorabilia and excitement the job at hand was to try Italian wines and of the 50 or so wines available to taste from roughly 12 wineries, these wines proved one thing to me, which I actually already know; that Italian wine is a bargain and the good stuff is not in Asda or Tesco. Are you shocked? I can tell you are. However, there were 87-88 point wines here that retail in Italy for between £2-3, wines with typicity, wines with verve even wines with structure and it makes me want to go home! Oh, sorry, I forgot I was British again for a moment. So which wines stood out? Two wines, the only two wines they produce, from Vivi, were both really very good for their €. Classic and simple examples of Falanghina and Primitivo both would make excellent food wines, a perfect wine for restaurants like Zizzi with a simple and modern branding. The Falanghina was crisp and fresh with good fruit and a fine streak of acidity, the Primitivo was classic dark fruit, blackberries with some extra, stand out notes you wouldn’t expect from the price point with a bit of mocha thrown in, a touch green on the finish but not unforgiving. Watch out for Vivi at a Pizza Express or similar near you. Then there were the wines showcased by the very knowledgeable and super-affable Maurizio Fava of Topwine. Maurizio was representing several wineries each offering something different, some lovely sweet wines, aromatic wines and crazily low priced Dolcetto and Barbera wines. The best of which were “Ray”, “Aive”, “Colle Manora’ Minosa” (Sauvignon Blanc from the Piedmont) and the Tre Bicchieri “Pomodolce Grue”. Have you heard of any of these? I bet not, and they’re gorgeous wines. What doesn’t make it ‘ere is truly a tragedy. The rest of the wines at the event lacked only the promotional clout that may be necessary to break the UK, there was no problem with flavour or value anywhere, but there was a lot of Montepulciano at this event and we are already awash with very cleverly branded Montepulciano. Many unknown varietals/docs were also present but I’m not sure the UK market are open to embracing even more Italian grapes/appellations. We need a push for education on Italian wine here in the UK, maybe then Albarossa (right), Schioppettino and the 20 gazillion others will get a chance. We’re not great at holding lots of foreign grapes/appellations in our collective consciousness. Unless these terms are continually flashed before our eyes, we easily forget or our brains become tired. Even a most enthusiast wine promoter like Maurizio Fava can only list so many Dolcetto docs before my eyes get that slight glaze. And that’s me. And I love Dolcetto! Go to Easyjet or Ryanair, pick a flight to Rome, Florence, Pisa or even Perugia, hop off, go to the enoteca or trattoria, buy them, accidentally miss the return flight. Live happily ever after. Am I unfair? Can us British really remember more Italian DOC/Grapes than we do, is it our brains or is it their promotion, is it a lack of quality? Why didn’t Tim win Wimbledon? Will Andy? It really feels like autumn here in Southern California. And before you laugh, yes, we DO have seasons (they’re screwy, but we have ’em). There’s a whole lot of stew, soup, and pasta being cooked up in my house these days, whereas a month ago if it couldn’t be cooked on the grill it wasn’t on our table. Today I have two picks for your pizza and pasta nights–and if your calendar looks like mine does between Halloween and New Year’s Eve that means most nights of the week. Both of them come from California, but are made with traditional Italian grapes: Sangiovese and Dolcetto. When you are having tomato-based dishes and want to serve a red wine, it’s important to pick one with good acidity and not too much tannins (that pucker on the sides of your tongue). So if you can’t find one of these selections, ask your local retailer for their suggestions. I’m finishing up with my whirlwind tour of Ligurian wine as part of my ongoing trawl through Italy’s wine regions and grape varieties. Even though I spent more than $20 on this wine ($25.99, to be precise), I’m still pretty pleased with the very good QPR on the 2005 Azienda Agricola Durin Ormeasco di Pornassio. ($25.99, Wine Expo–and I can’t seem to find it anywhere else!) This is a classy, distinctive wine that offers up lots of character for the price. Ormeasco is Ligurian for Dolcetto, I discovered, and one of the things I like best about the grape is that it’s a wine that is just as good with pizza and spaghetti with meatballs as it is with grilled beef, roasts, and more elegant fare. It’s a dress-me-up, dress-me-down kind of wine. This was a really lovely example of what Dolcetto/Ormeasco is all about. First, Dolcetto is a treat for the nose. There were aromas of licorice (which I love and it can be hard to find in a wine), cherry, fresh green fennel, and blackberry that you had to coax out of the glass at first, but which were worth the wait. I found echoes of all these notes in the flavors, with additional grilled herb nuances emerging in the aftertaste. There are cheaper Dolcettos out there, but they are far simpler than this wine turned out to be.